I have recently had the pleasure of meeting an adorable 3 year old little girl named Milla. 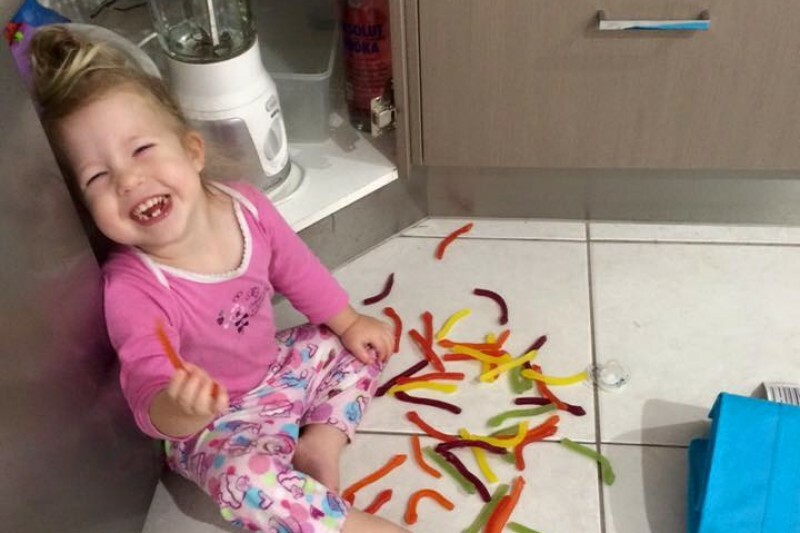 Milla suffers from a rare condition named 22q11.2 deletion, VCF Syndrome. So to try raise a little bit of money and a little bit of awareness I have decided to put my money where my mouth is and lose 22 pounds in 6 weeks. I am currently 213.4 pounds so I know plenty of you would doubt me (trust me it will be tough) however I am going to do everything in my power to make it happen. So the consequences if I fail - for every pound I fail to lose I will donate $100. I dont ever ask for anything but this is one thing I really need all your support with. Milla will need ongoing treatment which Im sure all of you aware is very expensive. My goal is to raise $5000 so any little donation you can make would truly be appreciated. Thank you for everyone's support. This means so much to me and also to the Fletcher family. Thanks to Recon donating $995 :) we presented a cheque to the family last night for 5,000! Please see facebook for photos! Awesome achievement! Well done mate and all for a great cause.